At the Kraine Theater, 85 East 4th Street. East Village, NYC. 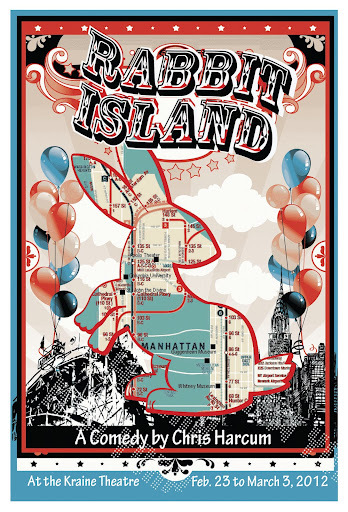 Rabbit Island is named a MUST SEE by The Local: East Village Blog for The New York Times. The playwright Chris Harcum is interviewed on The Happiest Medium.